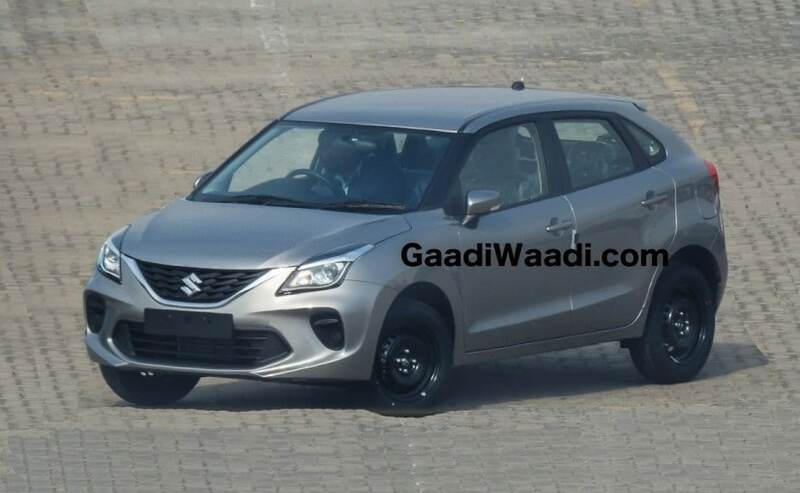 The 2019 Maruti Suzuki Baleno facelift will come with a bunch of cosmetic updates. The car is expected to be launched by the end of this fiscal year. 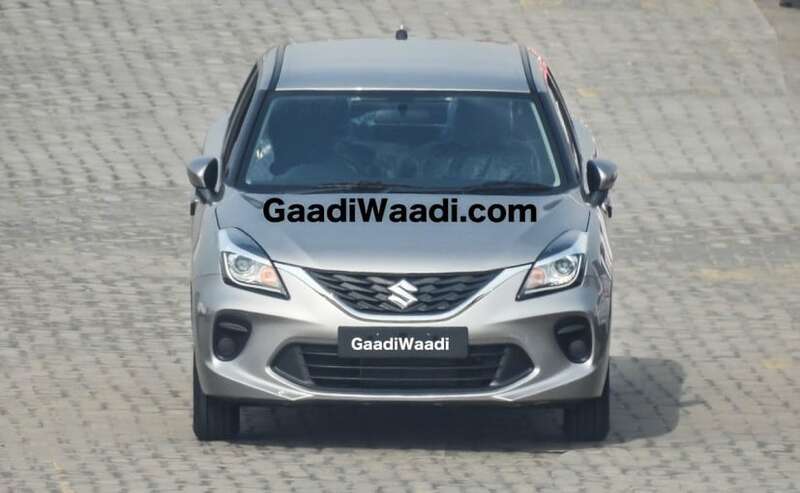 The Maruti Suzuki Baleno is the next in line to receive a mid-life facelift in India, and recently a new set of spy images of the car have surfaced online. These are the clearest images of the upcoming Baleno that we have seen so far, giving us a complete view of the updated model's exterior. The model in these images appears to be the base variants Sigma, considering the car misses out on features like foglamps, alloy wheels, and more. Visually, the 2019 Maruti Suzuki Baleno facelift will come with a bunch of cosmetic updates, especially the front section. The car gets a heavily updates face with a revised grille design, restyled headlamps, which come with projector lights, and a new front bumper with a wider central airdam and new individual foglamp housings on either end. The headlamps also come with these new chrome elements that connect with the chrome slat underlining of the grill, creating the effect of being one single element. The profile of the car remains identical to the outgoing Baleno with the same bulging shoulder line, ORVMs with integrated turn signal lights, and more. We do not get to see the car's rear section in these images but expect to see a revised pair of taillamps, an updated rear bumper and few minor cosmetic changes. In terms of features, this base trim is expected to come with dual airbags, ABS with EBD, and speed alert warning system, and possible even driver-side seatbelt reminder as standard. However, the top-end model will get a reverse camera, ISOFIX child seat mounts, SmartPlay infotainment system with Apple CarPlay and Android Auto, automatic climate control, rear defogger and more. Under the hood, the car is expected to get the existing petrol and diesel powertrains - 1.2-litre K-Series petrol and 1.3-litre DDIS oil burner, offering the same 82 bhp and 74 bhp of power respectively. While both the engines are mated to a five-speed manual gearbox as standard, the Baleno petrol also has a CVT automatic variant. As of now, there is no update on a launch date, however, we expect the car to be launched by the end of this fiscal year. Upon launch, the car will compete with the likes of the Hyundai i20, Honda Jazz, and Volkswagen Polo.